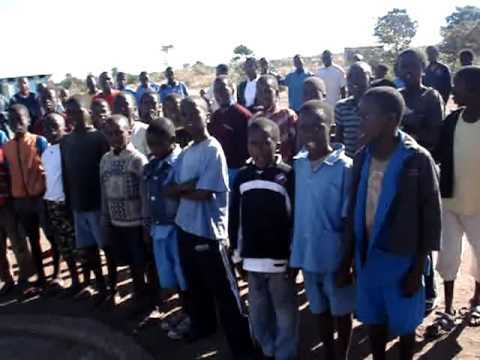 Mumbwa District Commissioner, Sunday Shamabanse, has directed residents in the district to stand at attention as the Zambia National Anthem is being played or sung. In a circular addressed to all Heads of Departments and members of the public and made available to ZANIS in Mumbwa today, Mr Shamabanse observed with great concern that some people are not alert and do not stand at attention when singing the National Anthem yet it is a national identity. The DC has directed all Mumbwa residents to immediately stop movements and stand at attention as the National Anthem is being sung or played in order to regain the lost glory of respecting the National Anthem. He explained that people have abused their rights and freedoms by ignoring to stand still as the National Anthem is played or sung, saying that the trend must be stopped immediately. Mr Shamabanse has also directed the singing of the National Anthem at every official government function where there are ten or more people attending.